The colour for February at White with One is Sizzling Pink. 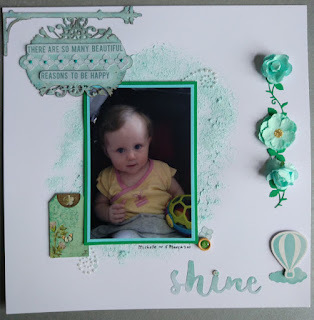 Having two girls to scrap I have plenty of pink but not much that sizzles so much of the layout is more soothing than sizzling. I decided once I saw that it was pink, that I wanted to use some of the many pink buttons I have in my stash, so I have made a circle of them, alternating light with dark. 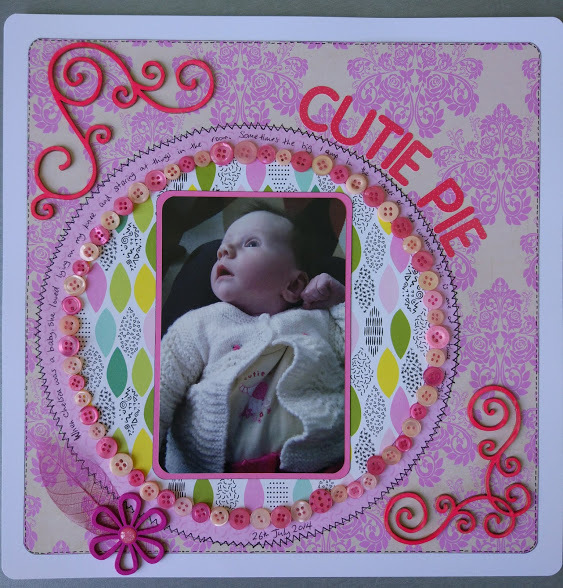 I recently got some lovely chipboard swirls and inked them pink, but realised it was too light. So I found a sizzling pink nail polish and used that instead. Sometimes you have to think outside of the box to get the colour you want!! How clever with the nail polish and I love that circle with the buttons - so cute. Thanks so much for joining in the fun at White ...with 1 this month. Such a precious layout. You sure did have a stash of pink buttons didn't you?!!! Great idea with the nail polish to match the colour of the month closely. Thanks for joining us at White ... With 1 for our February challenge! Brillant idea! Your layout is so pretty! Thank you for joining at WW1 this month! Oh, I love the pink button idea! Great stash busting. Gorgeous texture and embellishing. What a clever cookie you are. Colouring your chipboard with nail polish and using your buttons in such a effective way. What a lovely page and fantastic use of buttons! Thank you so much for joining in with White … with 1 this month with this wonderful page. 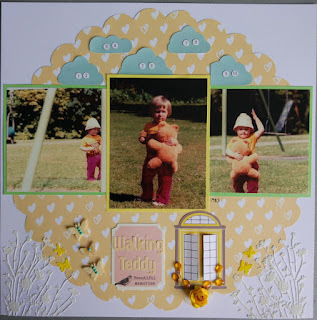 Love all the fun in your page and love the little buttons! Good luck for the WW1 challenge! Beautiful. I love love love the buttons! Thank you for joining us at White... With 1 this month with your beautiful creation.